I am very new to social media. So this might be over my head. You see I just started on face book two weeks ago. My writing skills are very lacking. 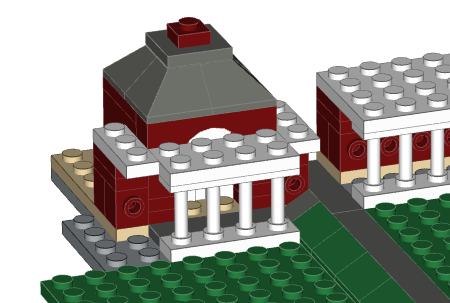 This is the beginning of a Lego model of the Lawn at the University of Virginia that I’m creating using a computer assisted drawing program.